New Year’s Eve in the Netherlands is celebrated in a most untypically over-the-top Dutch way. Here are 10 things you must do. 1. 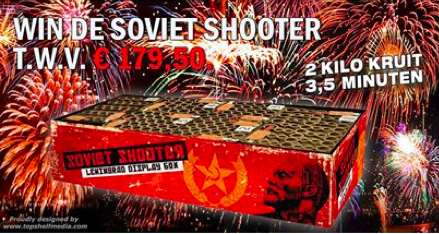 Buy fireworks – lots of them and enormous ones – if you have not smuggled them in from Belgium or Eastern Europe months ago. 2. Listen to the final fifty or so entries in Radio 2’s Top2000 which is, for some bizarre reason, is listened to by millions of people every year and won every year (almost) by Queen’s Bohemiam Rhapsody. 3. Watch whichever comedian is giving this year’s televised Oudejaarsconference – a long and winding monologue wrapping up the year. 4. Buy an oudejaarslot – a lottery ticket – in the hope of winning €30 million. You and 17 million other people. This entry was posted on Tuesday, December 31st, 2013 at 4:33 pm	and posted in Uncategorized. You can follow any responses to this entry through the RSS 2.0 feed. « How Is This Even Possible? !